Search for a Business Type or Name and a Location using the form above or select your town from the alphabetical list on the left hand side. Seeing the sites, eating out or looking for a locksmith? Check our London pages here. Jane Austin obviously never checked out any of the London Gyms or Health Clubs, but now you can here. Search for any type of local service you might need in London from legal advice to shopping advice and everything else too. Check London flights and hotels, places to stay and visit. And check out our London specific buzz search engine. Based on community power it learns and organises what the community rates as the top searches for London and it's surrounding areas. 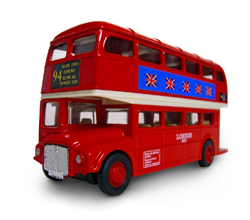 Just click the big red London bus to go there.